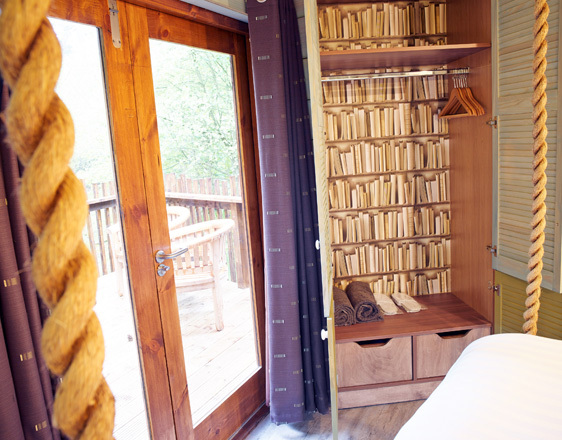 Our client’s Treehouse cabins had a magical feel from the outside but the interiors looked just as any of their other cabins. 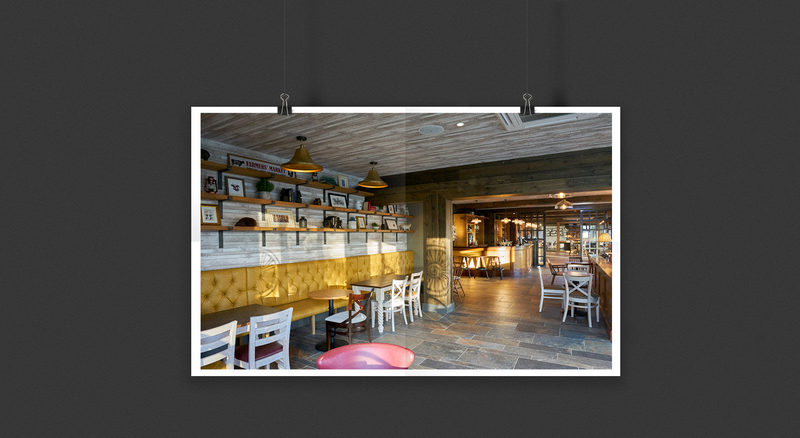 GIA were tasked with giving the interior design a fairy tale makeover to carry the magic from outside in. Taking our inspiration initially from Alice in Wonderland, we gave the interiors a themed look. We wanted the visitors to feel that they were in a magical world away from it all. The interiors are clad to give the feeling of being in an actual treehouse. 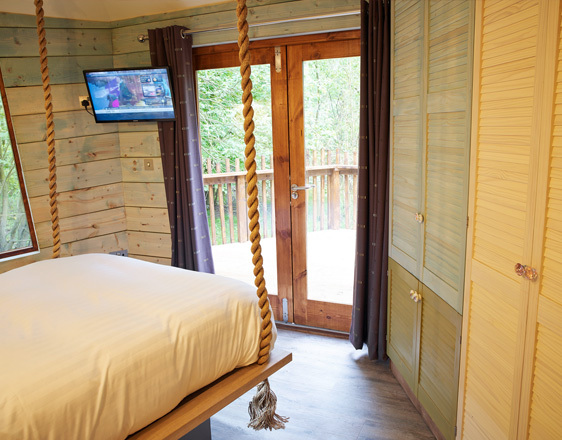 The first thing that catches the eye on entering the treehouse is the floating bed suspended from the ceiling by sturdy ropes. 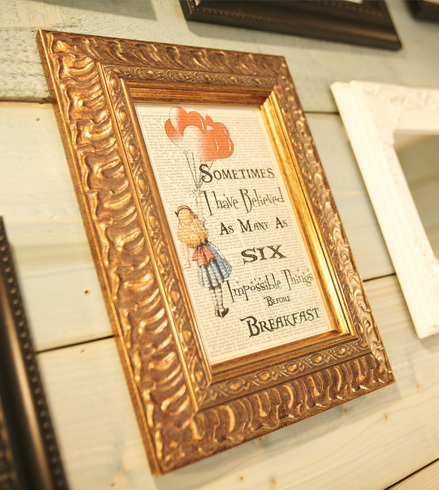 The quirky features carry through to the tiny details, woodland creature door handles, mirrors hidden away in wardrobes with log style stools and the pictures on the wall follow the fairy tale story. 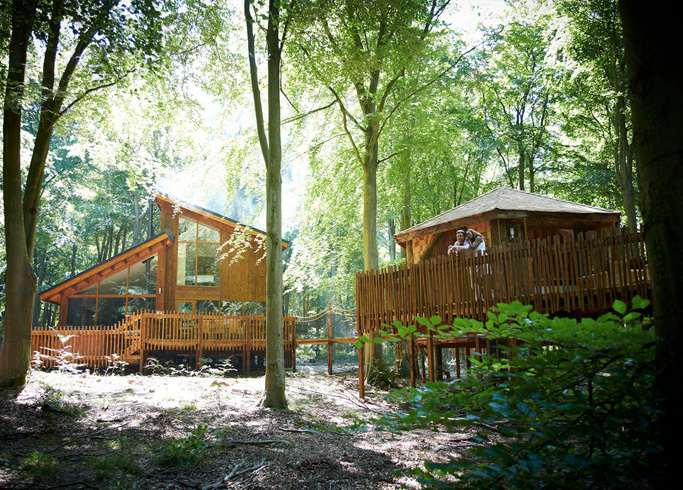 Each treehouse has a different theme to spark your imagination. The holiday makers now can embark on an adventure in the forest and rediscover the magic of their childhoods.